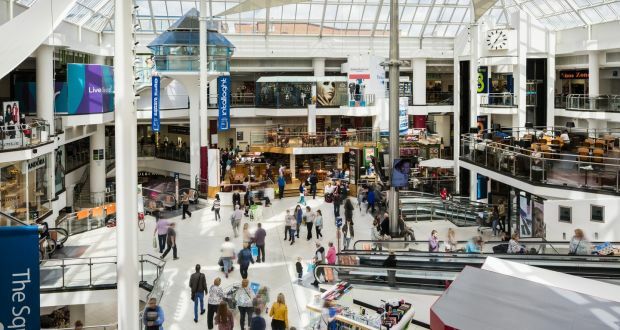 The US private equity giant Oaktree has made arrangements to complete the purchase of a controlling interest in The Square shopping centre in Tallaght, Co Dublin, tomorrow. The €250 million sale by Indego and Nama was one of the largest retail transactions in Ireland in 2017. The 27-year-old shopping centre – Ireland’s largest when it first opened – registered some 22 million visitors in 2017 and currently produces an annual rental income of almost €14 million. Marcus Wren of Sigma Retail Partners, advisers to Oaktree’s European Principal Group, yesterday commented that The Square had remained in “fractured ownership” since opening in 1990 and as a consequence it had not been possible until relatively recently to meaningfully adjust or manage the centre to reflect the needs of today’s shopper. He said that Indego, with support from Nama, astutely established a strong platform to manage the asset by acquiring and amalgamating various borrowers interests in the scheme over the past number of years so as to be in a position to sell more than 90% of the unit shops (118) and 100% of the redevelopment potential. Bernard Hamill, outgoing chief executive of the Indego Group, said that having laid down and implemented their strategic plan, together with the considerable support and assistance of Nama, to bring The Square to a market in a ready state he wished the new owners every success. Rod Nowlan of Bannon Investment, who acted for Oaktree, commented that with rental levels less than half those prevailing at The Pavilions shopping centre in Swords, the Tallaght investment “represents a virtual sleeping giant”. “The Square has immense potential for private residential schemes on its 19 acres of surface parking and a virtually untapped food and beverage opportunity on the sunny and picturesque southern side of the scheme,” he added.